Both materials look very similar. Our Elite range of products is manufactured from polycarbonate material. This material is Food & Drug approved and conforms to the Materials and articles in Contact with Food (England) Regulations 2012 including (EU) No 10/2011. It has superior strength over other plastic materials and therefore the products are virtually unbreakable. We have tested the products in glass-washers with a standard solution in excess of 500 cycles with no noticeable visual detraction. 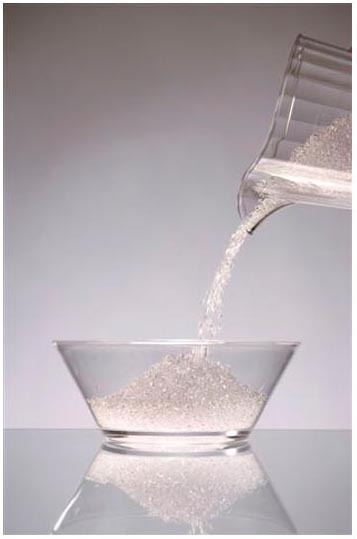 Our Econ range of products is manufactured from crystal polystyrene material. It has good clarity but may break if dropped onto a hard surface or stood on. We have tested the products in glass-washers with a standard solution in excess of 100 cycles with no noticeable visual detraction. Your glasswash manufacturer will be able to advise of which solution and cycle time best suits your machine. The water type in your area also needs to be taken into consideration. You can handwash using any mild solution and dry with a soft cloth, please note using a harsh abrasive or rough cloth may cause damage to the appearance.